Rabbits aren’t the first thing a lot of people think of when considering a companion animal, and that’s a shame. Bunnies are just as interactive as dogs, as smart as and more trainable than cats, and easier to care for than either one. Furthermore, they don’t need a lot of space, and you don’t need to take them for walks. On top of that, if you want to adopt a rabbit, there are so many breeds, colors, sizes, and temperaments, you’re sure to find one that would make a perfect friend for you. Here are ten specific reasons why if you’re looking for a new friend, you should consider adopting a rabbit first. They’re Quiet. Rambunctious dogs and boisterous birds are fun for some, but if you like a quiet, gentle friend, consider a rabbit as a pet. Because they’re so quiet, you won’t have to worry about the neighbors with their racket. If you adopt a rabbit, you’ll have a quiet companion. Just because they don’t vocalize doesn’t mean they won’t show you they love you. They’re Affectionate. Rabbits won’t slobber all over you or purr when it’s time for a treat, but they do bond strongly with their owners. Rabbits like quiet fun: sitting on your lap while you watch TV, or playing in the garden while you read a book or catch some sun. You can tell your rabbit likes you if they nudge you with their nose, rub their chin against you, circle around you, or lick you. Jumping high in the air and kicking out their rear feet (“binkying”) means your rabbit is happy to be alive. You can read more about bunny body language at the House Rabbit Resource Network. They’re Clean and Easy to Care For. A lot of people know how to take care of dogs and cats, but have concerns about adopting a rabbit as a pet, because they’ve never cared for one. It’s easy! Rabbits can live inside or out, they don’t need to be taken for walks (although they do need plenty of room to hop, jump, and stretch their legs), and they can even use a litterbox! If you think you might want to adopt a rabbit, check out Petfinder’s rabbit care center to find out what you’ll need to care for your new friend. It’s Easy to Find Rabbits for Adoption. Many people buy their child a bunny for Easter without thinking it through. As a result, shelters and rescues fill with rabbits in the months afterward. If you’re thinking about adopting a rabbit, the months after Easter are often a very good time, for you and for the rabbits. You can find rabbits for adoption at any time in your local shelter, or use a pet rescue locator like Petfinder.com to search for adoptable rabbits year round. They Come in Lots of Different Shapes and Sizes. 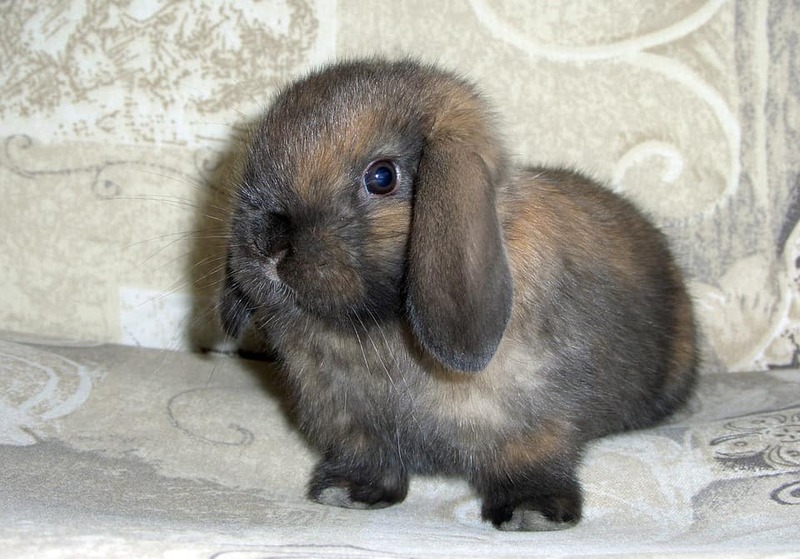 Dwarf rabbits can weigh as little as two pounds and be as small as the size of a man’s fist. 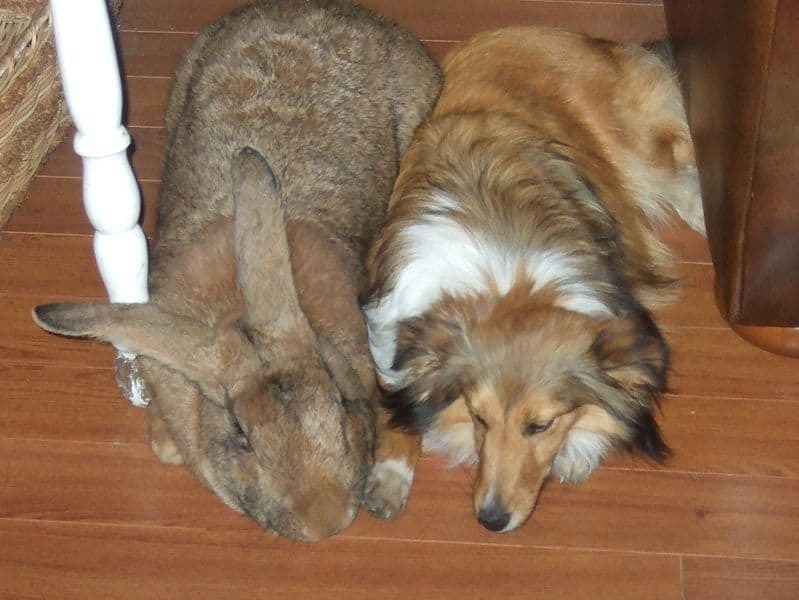 On the other hand, Flemish Giants can weigh up to 22 pounds … That’s the size of a small dog. 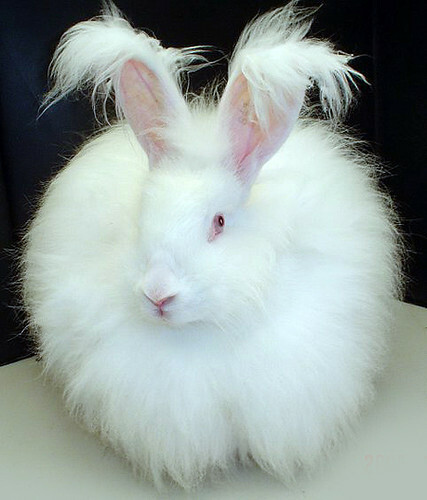 Rabbits come in long-haired and short-haired varieties, in solid and spotted shades of white, cream, brown, and black. And, most importantly, you can choose between floppy and standing-up ears. They’re entertaining. If you adopt a rabbit, you have the chance to learn an entirely new language! Because rabbits are quiet, some people make the mistake of thinking that they don’t communicate. Untrue! Rabbits are very social, and, if you know what to look for, will tell you exactly what’s on their minds. For example, everyone knows that when a dog wags its tail, it’s happy, but when a rabbit wags its tail, it means exactly the opposite. Rabbits also love to play and explore. And if you adopt a rabbit pair (which you should, as they don’t like to live alone) watching their antics can be more entertaining than TV. Only certain kinds of rabbits produce marketable fiber, however, so before you adopt a rabbit for fiber, do your research. They have lots of personality. Just like people, rabbits have different personalities. Some are mischievous, some are shy, some are sweet and cuddly, some are adventurous. One of the best parts of adopting a rabbit is watching its personality unfold. They can Finish up the Leftover Salad Your Kids Won’t Eat. If you adopt a rabbit, you’ll never have to worry about leftover radishes, cucumbers, or parsley. Rabbits can be veggie disposal machines! But some vegetables can be dangerous for bunnies, so choose wisely. Zooh Corner rescue has a list of rabbit-safe vegetables for you to choose from. You have time for a bunny. Pet rabbits live 8-12 years, like a cat or a dog. And like a cat or a dog, they need companionship, exercise, and attention from you. If you are unwilling or unable to provide that, then rabbit adoption may not be for you. You have space for a bunny. Indoor rabbits will need a rabbit-proofed enclosure. In fact, an entire room to run around in would be ideal. Outdoor rabbits will need a large, predator-proof enclosure with a sizable run for exercise. Your family is ready for a bunny. Rabbits are physically delicate, and will not be safe with children under 10, or children who will play roughly with them. Also, they can be injured by dogs and cats. Before you adopt a rabbit, make sure that your family can provide it with a safe environment. You have Access to a Rabbit Vet. 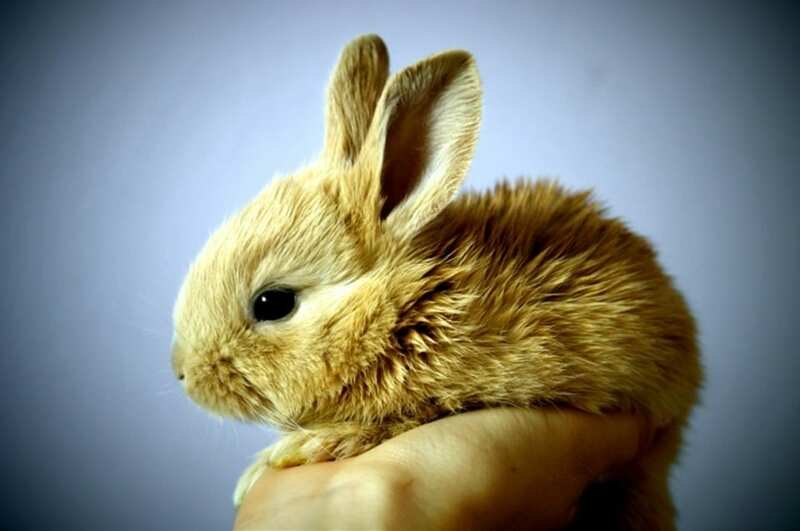 Because rabbits are considered “exotic” pets, not all general vets will treat them. Before you adopt a rabbit, make sure there is an appropriate vet in your area, either a general vet who treats rabbits, or a specialist rabbit or small animal vet. The House Rabbit Society has a partial listing of rabbit vets in the United States and other countries. Be aware that rabbit veterinary care can be expensive. On the other hand, many health problems can be avoided through proper care. You can read more about rabbit preventative medicine at JustRabbits.com. Because there are so many bunnies in need of a home, look at shelters and rescues if you want to adopt a rabbit. Both will generally spay and neuter rabbits before releasing them. Rescues may also be able to give you an idea of a rabbit’s history and any behavioral or medical issues. Look for adoption events in your area. Many pet stores work with rescues and have rescue rabbits for adoption right in the store. In addition, pet rescue locators like Petfinder.com and Adoptapet.com can show you hundreds of adoptable rabbits in your area looking for a forever home.